Born Sidney Charles Hurricane Vieljans, his journey towards the world of house and techno began when he first started mixing hip-hop, soul and funk at the age of 15. Taking his cues from the golden age of turntablism and associated culture in the late ‘80s and early ‘90s, his attentions were led towards other sounds of the era also enjoying their first heyday. For a producer who only started releasing music in 2011, Sidney’s achievements are all the more impressive. 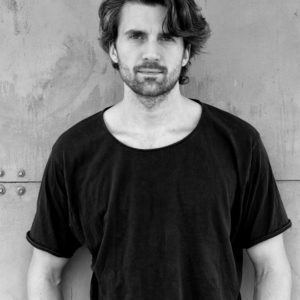 In the space of just five years, his works have graced bastions of house and techno such as AVOTRE, 8bit, Truesoul, Moda Black, Hot Creations, KDIS, SCI+TEC, Area Remote, plus remixes for Moby and Basemnet Jaxx – each release adding to his clout and helping him to become one of the biggest names in the underground. Along with his lengthy studio stints and his focus on making dancefloors vibrate. Release wise, Sidney has continued to go from strength to strength after taking part in the remix album of Moby’s seminal ‘Play’, on which he put his unique spin on ‘Natural Blues’. Looking ahead he also has tracks in the can for Moon Harbour, a return to AVOTRE and a further EP for Lee Foss’ recently launched Repopulate Mars imprint.